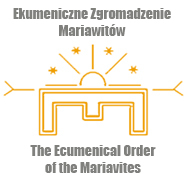 We were asked today to chose a popular and loved Polish carol for the website of the Convocation of Episcopal Churches in Europe. It was not difficult, “Bóg się rodzi” (God is Born) is without a doubt popular and loved, and it is our favourite. It was a little more challenging to find a good translation, but we managed to find one of the two first stanzas, which, after several corrections, is acceptable and even singable. So we made a video and instead of the third stanza, which we’re not very fond of anyhow, included a short information about the carol, and at the very end a few words about the excellent boys choir that performs it, Poznańskie Słowiki. This entry was posted in English entries and tagged Christmas. Bookmark the permalink. Thank you! Beautiful! Absolutely beautiful!